Clarity enhanced diamonds are diamonds that start out with visible imperfections and, with a bit of cosmetic enhancements, are transformed into more brilliant versions of their former selves. 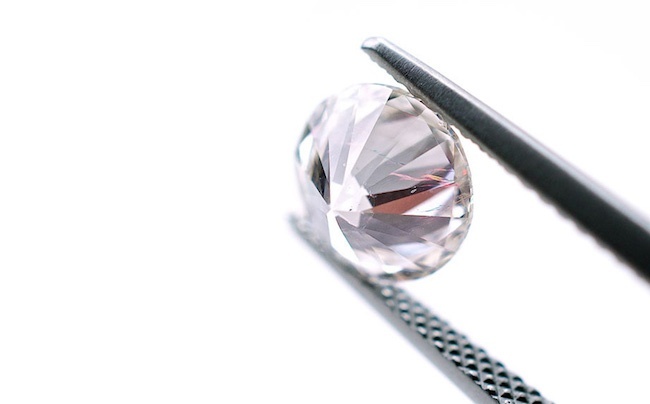 After their transformation, clarity enhanced diamonds give near perfect diamonds a run for their money, especially since they cost significantly less than non-treated diamonds. A clarity enhanced diamond can be anywhere from 30% to 50% cheaper than a non-enhanced diamond with the same characteristics (namely, clarity). Clarity is one of the 4 Cs (color, clarity, cut, and carat weight) of diamond grading that is used to determine a diamond's worth. A diamond's clarity level is affected by the existence of internal inclusions and external blemishes -- the clearer the diamond, the better. The highest grading of clarity is "Flawless" (FL), which indicates that "no inclusions and no blemishes visible under 10x magnification," according to the Gemological Institute of America (GIA) website. The lowest grading for a diamond's clarity is referred to as "Included" (I1, I2, and I3), which means that a diamond has visible and obvious inclusions under 10x magnification. The more imperfections a diamond has, the lower it ranks on the grading scale and, therefore, the less expensive it is. However, thanks to clarity enhancement technology, diamonds that are 'ugly ducklings' can be transformed into ones that look like a million bucks. This procedure involves the use of an infrared laser that drills a microscopic "tunnel" to the cloudy black carbon inclusions within a diamond. Once the tunnel is drilled, the diamond is then soaked in sulfuric acid to dissolve and remove the inclusions, enhancing the diamond's brilliance and clarity. Diamonds naturally have tiny, microscopic fractures (aka "feathers") that occur during their formation in the earth's crust. Unlike the black carbon inclusions described above, feather fractures are empty cavities that are filled with a special compound that make the inclusion invisible to the naked eye. In 1982, Israeli jeweler Zvi Yehuda invented diamond clarity enhancement technology, which quickly became commonplace in the diamond industry worldwide thereafter. Yehuda is the mastermind behind many other widely-used diamond enhancement procedures such as deep boiling and laser drilling from inside out, and he was also the first person to successfully color diamonds using radiation. Yehuda Enhanced Natural Diamonds are naturally-mined diamonds that undergo the Yehuda clarity enhancement procedure to make inclusions (or "feathers") in flawed diamonds disappear, resulting in a near flawless diamond that can be sold for remarkably less than a natural, non-treated diamond of similar characteristics and quality. Thanks to this technology, diamonds of greater size can be produced after undergoing clarity enhancement treatment, which means consumers get much more bang (and brilliance) for their hard-earned buck. Is a Clarity Enhanced Diamond for You? The decision to buy a clarity-enhanced diamond is typically more budgetary than it is preference. In other words, if your lucky lady has champagne taste but you have a beer budget, then a clarity-enhanced diamond is definitely your saving grace. Diamonds that undergo clarity enhancement treatment are a great value for budget-conscious buyers. The only people who will know that you bought an enhanced diamond will be you, your jeweler, and your loved one -- that is, if you choose to tell her. Rare: Due to limited suppliers, diamonds that are clarity enhanced are not as common as you may think. Bigger: Larger stones can be produced because clarity-enhancement treatment can remove inclusions from anywhere in a flawed diamond. Durable: Despite being treated, clarity-enhanced diamonds are just as long-lasting and durable as non-treated ones. Brilliance: Naturally flawless diamonds are revered for their brilliance, however they are also extremely expensive and hard to come by. With clarity-enhanced treatment, brilliant diamonds are not only more available, but they are also much more affordable. 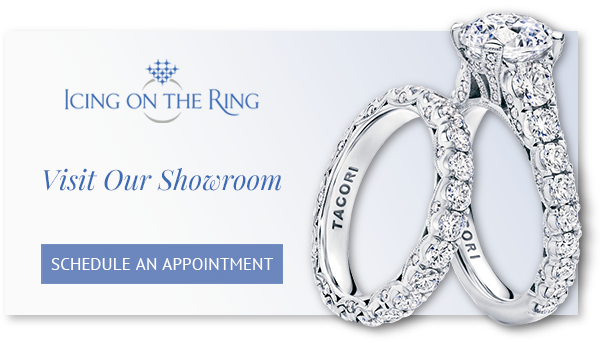 If you want to get your hands on a bigger, more brilliant diamond than the one you have, then you definitely need to come to Icing On The Ring's Diamond Upgrade Event -- and just in time for the holidays! You will receive 110% credit for your existing diamond for the purchase of a dazzling new Yehuda Diamond. You will also be able to take advantage of our special 0% financing for 12 months so that you can really wow your lucky lady with a bigger and brighter diamond this holiday season.